Note: This is a step by step guide on how to buy Ethereum on Coinbase so you can get ready to become a Crowdholding supporter during our Pre-ICO / ICO. If you already know how to purchase Ethereum, you can move on to step three, on how to purchase YUP. If you wish to learn more about our company or our ICO click here. In this article we will focus on how to purchase Ethereum (ETH) on Coinbase. If you are at this stage you have already created your wallet. We decided to use Coinbase because it is quick, simple and has great customer support, but there are multiple exchange websites you can purchase cryptocurrencies from (such as Poloniex or Kraken). It is worth checking to see if the website supports the country you are residing in, if not you cannot use Coinbase, you can use Poloniex or Kraken as they follow a very similar procedure. Please also note that due to the rapidly increasing interest in digital currency trading, the exchanges could be temporarily unavailable on some days. Do not worry if this happens, your money is still safe even if the website is unavailable. Also the verification process can take a few days so please be patient, this is down to the ever increasing interest around cryptocurrencies. 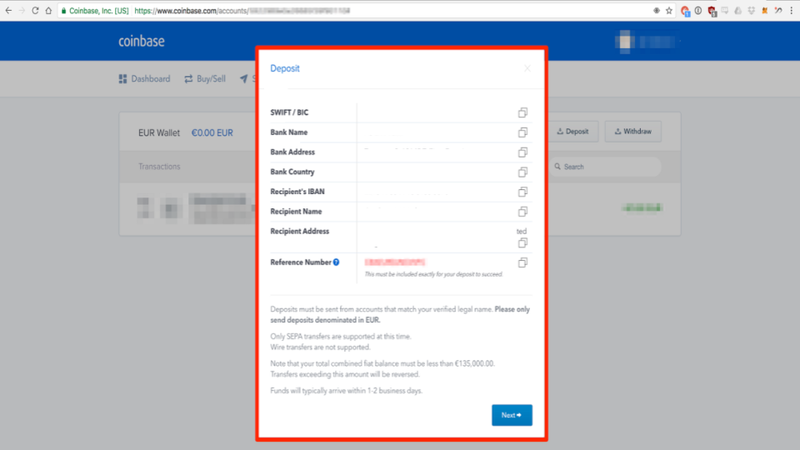 Firstly we will need to create an account on Coinbase and verify your account. To start this process, go the website https://www.coinbase.com/ and enter a email address you want the account to be connected to, after entering your email address click “get started”. Once you have clicked “get started” you will taken to the page that is below, enter your details, and click “create account” to proceed. Once you click “create account” an email will be sent to your address which needs to be opened to verify your email address. Once you have verified your email address, you will have to verify your account. It is a simple procedure, but it can be time consuming. For this you will have verify your phone number, provide an ID and send a send a confirmation payment. It is not uncommon to have a few issues during this process, this is due to high level security and wanting to make sure that your account is secure. If your ID gets rejected, use a different ID. One of the reasons we picked this site was because of the great customer service they provide. If you have any issues you can go Coinbase support portal or get in contact with them. Depending on what country you are situated it, you can buy digital currency using either a credit card or a bank account transfer. Using a credit card is faster, but here at Crowdholding we suggest adding a bank account, so can buy a larger amount and also withdraw your funds to your bank account in your local currency. For this guide, we will focus on a bank account transfer. Once your account has been verified you are ready to purchase some Ethereum! To get started you will need to fill your local currency wallet, which will appear under your account if you have added a bank account from a supported country. Sign in to Coinbase, click on the “Accounts” tab and look for “USD Wallet” or “EUR Wallet”. Select either your USD or EUR wallet, and on the next page click the icon “Deposit” that is located on the right side of the wallet. When you click this, a pop up will appear and will show you all the details of your Coinbase account (this is where you will be depositing your local currency, so you can purchase a digital currency). Once you confirm this and you bank process your transaction, you are ready to purchase! Once your wallet has been filled with your deposit, click the “Buy/Sell” tab. Choose Ethereum as the currency you wish to purchase, choose your wallet as the payment type, and then select the amount of ETH you wish to purchase. Once you have selected all the correct items, click on the “Buy Ethereum Instantly” button and confirm your order on the next page. Once you have purchased some Ethereum in your Coinbase account, it is time to send your digital currency to your own Ethereum wallet. Click on the “Send / Receive” tab open a pop up form allowing you to send funds. On this pop up, copy your public account address from your personal Ethereum wallet. In the amount section, enter the amount you wish to transfer from your Coinbase account to your wallet. We would suggest that you double check that you have the correct public address, as it is a long line of random numbers and letters, and getting this wrong will send it to another account or it will not work. When the transaction is completed, your purchased Ethereum will appear in your wallet. If you followed our first part and created a wallet on MyEtherWallet, you can check your balance by clicking on “View Wallet Info”. You will have to unlock your wallet again by typing in your Keystore file and password. Well done! You now have some Ethereum in your created wallet and you will be able to use your new digital currency to become a Crowdholding supporter! In our next step, we will be showing you how to change your Ethereum into YUPIES. If you have any issues regarding any of the steps, please feel free to contact us on our public slack / telegram channel.